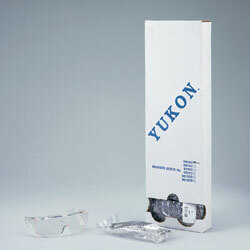 Provides easy access to protective eyewear. Wraparound style includes molded-in brow guard and vented sideshields. Fits over prescription glasses. Not a replacement for CSA approved safety glasses. IN STOCK.